Located in the rugged west of Ireland, you could think of Connemara as a vault, where Ireland’s traditions are stored safely against the march of time. Passing through the desolate yet beautiful Doo Lough and Delphi Valleys, the landscape tumbles down to the dark waters of Killary Harbour, a stunning fjord framed by olive-coloured mountains. It’s a sign that you’re somewhere very special Truth be told, this romantic region, with its old stone walls, ponies and wild landscape is the very essence of Ireland: “Irish language, song, dance and literature are all to be found in abundance here,” says Paula Lydon from the Connemara Heritage and History Centre. And she’s not wrong. Time your trip for the Connemara Pony Show, which has taken place in the area since 1924! 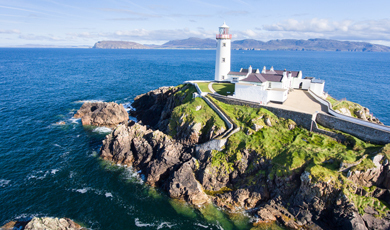 Connemara is that wild hinterland on the west coast of Ireland, bounded on the north by Clew Bay, on the south by Galway Bay and on the east by Lough Corrib and Lough Mask. 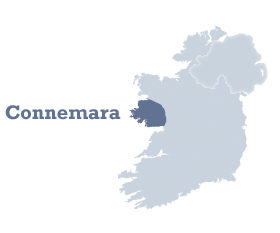 What makes Connemara different? That’s easy. Traditions are everywhere. Everything from the food on your plate to the music beating out of pubs is infused a unique cultural heritage. 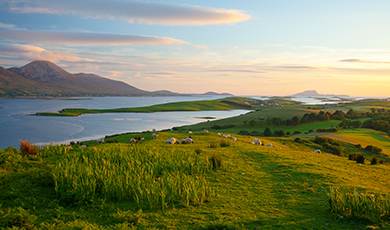 These traditions are also reflected in the language – Connemara is a Gaeltacht (Irish-speaking) region. You can have a go yourself by practicing a few words “cupla focal”), or even doing a course, but if you don’t fancy it, don’t panic, everyone speaks English, too. Food-wise, you’re in for a treat in this part of the island. Bordered by the Atlantic Ocean, Galway has a strong sea-faring tradition, and smoked fish is a local speciality. You’ll noticed smoked salmon and smoked mackerel on menus in pubs and restaurants all over Connemara, but to see the craft of smoking up close, arrange a tour of the Connemara Smokehouse and Visitor Centre. Looking for a bite to eat with a truly spectacular view? Try the Misunderstood Heron, a simple food truck that serves up excellent Killary Fjord mussels overlooking the waters they come from. Want to check out an authentic “trad session”? The good news is that Connemara is one of the finest places on Earth to hear the sounds of traditional Irish music. Contained within these old songs are the stories and fables of ancient Ireland, passed down in an oral tradition that stretches back centuries. Musicians gather in cosy corners in lively pubs such as Molly’s in Letterfrack, Lowry’s in Clifden and The Shamrock Bar in Roundstone. Described as "a savage beauty" by wordsmith Oscar Wilde, Connemara can make your heart sing and the rest of the world melt away. 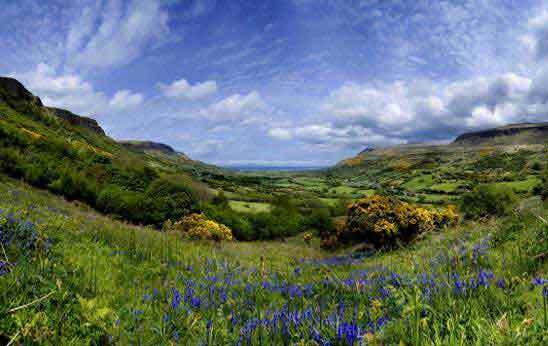 It's rural Ireland at its most dramatic, so absorb it all with a walk into nature. Connemara's National Park summarises all that makes this region so special, and a great starting point for exploration has to be the Diamond Hill Loop Walk. With the Atlantic on one side and the famous peaks of the Twelve Ben Mountains on the other, be prepared to stand in awe. But that's what Connemara – and Ireland – is all about: letting go of the mundane and filling your heart with something really quite special. On the shores of Lough Pollacopall, one of the greatest ever testaments to love stands in stately elegance, as perfect today as it was when it was first erected in 1871. Kylemore Abbey was built by Mitchell Henry for his wife, Margaret, after they spent their honeymoon in the area the 1840s; sadly, just three years after the castle was completed, Margaret died. Her heartbroken husband laid her to rest in a little Mausoleum in the woods, where he joined her upon his own death. The neo-Gothic Church is a lasting testament to the love of Mitchell Henry for his wife, Margaret. Kylemore later became a Benedictine convent, then a school – but Margaret was never forgotten, and Kylemore Abbey has long been considered Ireland's most spectacular love letter. Landscapes, love stories, music, culture, food – is it any wonder Connemara holds such a special place in the hearts of all who visit? Magical sights, epic adventures and delicious food stories: fill your heart on this eight day trail. 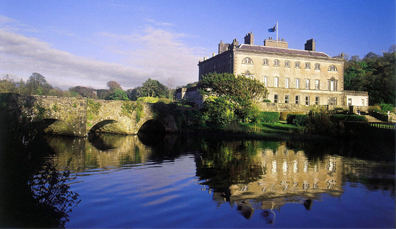 Sitting proudly on County Mayo's west coast, Westport draws you in the very first moment.